Most people realise we have a Soul but it’s hardly talked about in our culture and education. It’s mentioned here or whispered there, so we could be forgiven for thinking the Soul is just a wispy spiritual entity with no form or specific identity. Many people in the 21st century even doubt or wonder if there is such a thing as a soul. I used to hear about the Soul in vague terms in our modern literature, like fairy tales, classic novels, or even science fiction movies. Philosophically, I thought it was nothing more than a ‘brick in the wall’ of a bigger God consciousness. But that’s only half the story. Your Soul contains your individuality, all the experiences and strengths accumulated from life to life. Because everyone’s life is completely unique – your Soul is unique. No two Souls are alike. The same can’t be said of ego. is the unique individual you are – creative, intuitive, intelligent, passionate, wise, witty, fearless and invincible. It’s the one-of-a-kind you and there is no one else like you in the whole wide world. When you are in the present moment, and your mind is free of chatter (however short a time that may be), you are naturally connected to your Soul – also known as the Higher Self. When you operate from soul you are hitting the high note, and you don’t work as hard in everything that you do. is your Soul’s wardrobe. It has many outfits (faces) that you wear to be appropriate in a variety of situations in life. But ego takes itself too seriously and has taken a life of its own. Ego knows this separation is a lie and is why, at the same time, it tries to conform and seek the approval of others. From this profoundly insecure position, ego looses trust easily and starts to control you out of basic fear. It does this by forcing you out of the present moment using the chatter box mind. It forces you to dwell on the past or project into the future. When you operate from ego you are hitting the low note and using more energy, like forcing yourself to do something when your heart’s not really in it. 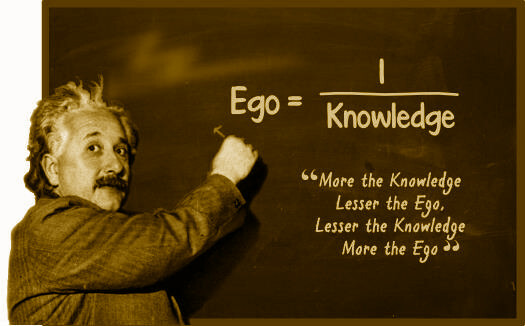 Find out what you gain from working on ego. Thank you. I will continue. If there is a topic you’d like to hear more about, do let me know. Can you talk about forgiveness, please include addressing the one you forgave who does not realize you are in pain from the actions you forgave. 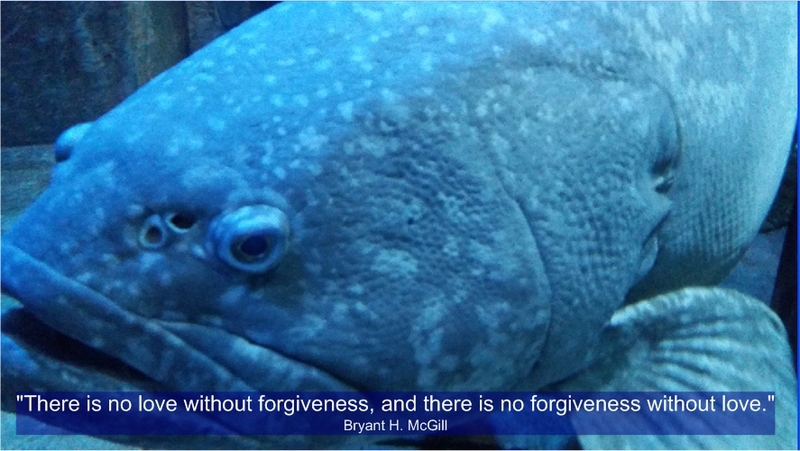 Why should we understand and forgive? What does it mean when we forgive? When you can’t get another to understand the nature of your pain, then the focus turns back to you. Do I hold on to this pain or do I do something else with it? Forgiveness can be horribly hard if the pain is still fresh, but with affirmation and ego work it can let you release the pain or transmute much of it. When you ‘forgive’ you release the attachment you have to the wrong-doing (and its power over you) and in some cases manage to avoid karma from wrong actions that are triggered from holding on to resentment. When I find it hard to forgive I sometimes use the words “Oh forget it”. Update: Thank you Shifra, you were the inspiration for a new blog on forgiveness, see Featured Articles at top of page. Thank you for the sensible critique. Me and my neighbor were just preparing to do a little research about this. We grabbed a book from our area library but I think I learned more from this post. I am very glad to see such magnificent info being shared freely out there. Thanks again. Glad it threw some light on the subject. It’s definitely self-empowering the more you learn. Do suggest a topic that is dear to your heart or you want to know more about. [Bleep] amazing things here. I’m very glad to peer your post. Thanks a lot and i’m taking a look ahead to contact you. Will you kindly drop me a mail? Thanks for your email, and yes I can. I appreciate your feedback. The content on this website is based on my study, application, and experience. And now it’s time to share along with the thousands of others like me who are sharing their experience of it for others to benefit as well. I had a difficult year in 2015 so there was a lull, but there will be more consistent activity in 2016 and beyond. Thanks for asking. The information contained here is absolutely amazing. I will show your site to a lot of my mates. It’s my pleasure to share what we have all forgotten in some sense. As I web-site possessor I believe the content matter here is rattling fantastic, appreciate it for your hard work. You should keep it up forever! Best of luck. That is sweet, I wish you peace and love. This is the best site I have read in a long time. I love it! I will definitely be coming back for more. Thank you. It’s my pleasure to share the joy. There will be more activity in 2016. Do check in now and then. There is definitely a great deal to learn about this subject. I really like all of the points you’ve made. Thanks a bunch for sharing this with all people you really recognize what you’re talking about! Bookmarked. Thanks, I am very glad the style resonates with you. Thanks for your marvelous posting! I genuinely enjoyed reading it, you are a great author.I will be sure to bookmark your blog and will come back later in life. I want to encourage you to continue your great job, have a nice afternoon! I do appreciate encouragement, thank you. Just want to say your article is as astonishing. The clearness is just cool and that i could think you’re an expert in this subject. With your permission allow me to grab your RSS feed to keep up to date with impending posts. Thank you 1,000,000 and please keep up the enjoyable work. Magnificent web site. A lot off useful info here. I am sending it to several friends ans also sharing in delicious. And certainly, thank you for your sweat! Thank you for the encouragement. My pleasure. you’re really a good webmaster. The site loading speed is incredible. Also, The contents are masterwork. you have done a wonderful process in this subject! on Soul and Ego | Ego and Spiritual Awakening. I do have 2 questions for you if you do not mind. Is it simply me or does it give the impression like some of the comments appear like they are coming from brain dead individuals? 😛 And, if you are posting at additional social sites, I would like to follow you. Could you list of the complete urls of all your shared sites like your twitter feed, Facebook page or linkedin profile? I try to weed out the borderline spam comments, maybe some get through. Also some commenters are people whose first language is not English so they are not much good with the grammar. I am not very active on the social sites for this blog. In future I will grow this but for now please bookmark this website and return at regular intervals. I am always working to add new content. Thank you for your comment. My book will be comming out next year, exactly on this topic. Stay tuned. This site certainly has all of the info I needed about this subject and didn’tknow who to ask. I would like to, but it’s all in my book which will be coming out. What I know about the subject is one person’s first hand experience, both the good and the bad. I just could not leave your site prior to suggesting that I really loved the information. Gonna be back again to continuously inspect new posts. Is this a paid theme or did you modify it yourself? Anyway keep up the nice quality writing, it’s rare to see a great blog like this one today. That is really good to know. There is a difference between being expert and having experience with this subject. I hope to bridge the gap between spirituality as a subject and as a way of being. Thank you. Having read this I believed it was extremely enlightening. I appreciate you taking the time and effort to put this article together. I once again find myself personally spending way too much time both reading and leaving comments. But so what, it was still worthwhile!